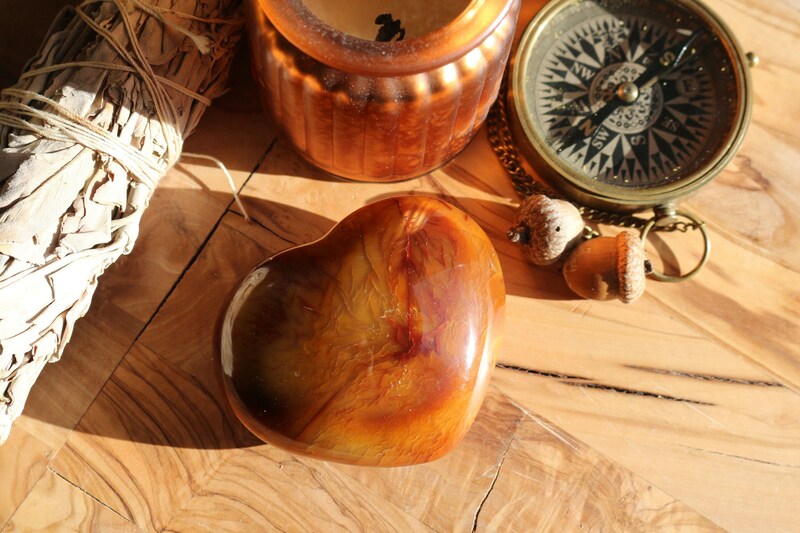 A large, pillow-like Carnelian Crystal Heart. Fully polished, smooth as glass and puffy like a pillow. Amazing swirls of red and orange with distinctive extra dark red veining. The perfect gift for a friend loved one or especially yourself. Use it as a paperweight at home or in the office. Place it in the center of your kitchen table and spread the love! PLEASE NOTE: In some of the photos, it appears there are cracks in the heart. These are NOT cracks, it's the way the sunlight was hitting the piece while being photographed. 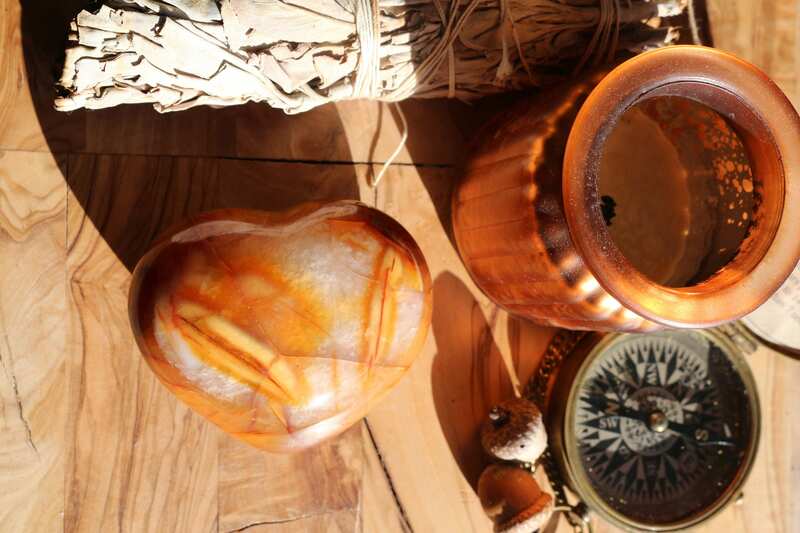 Carnelian is a stone of action and may give you the courage and confidence to move forward on a new path in life. 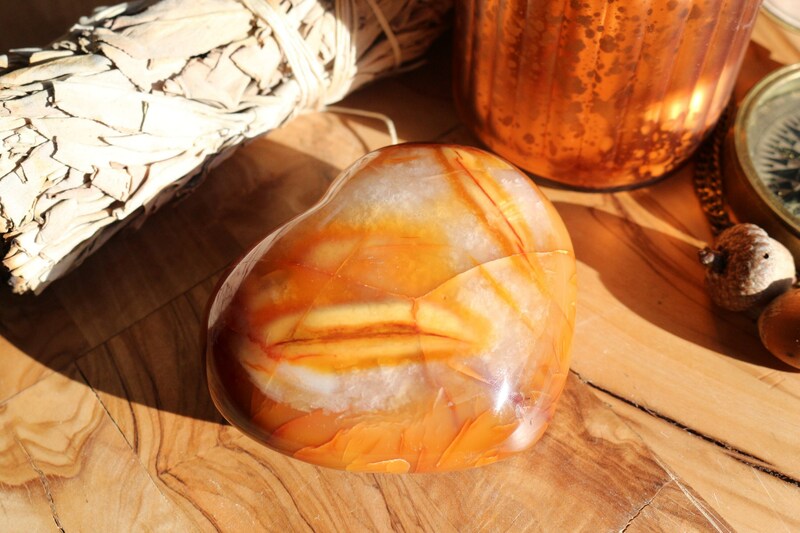 The vibration of this bright orange stone accelerates motivation, and aids in the clarification of your goals to help guide you on life's path. 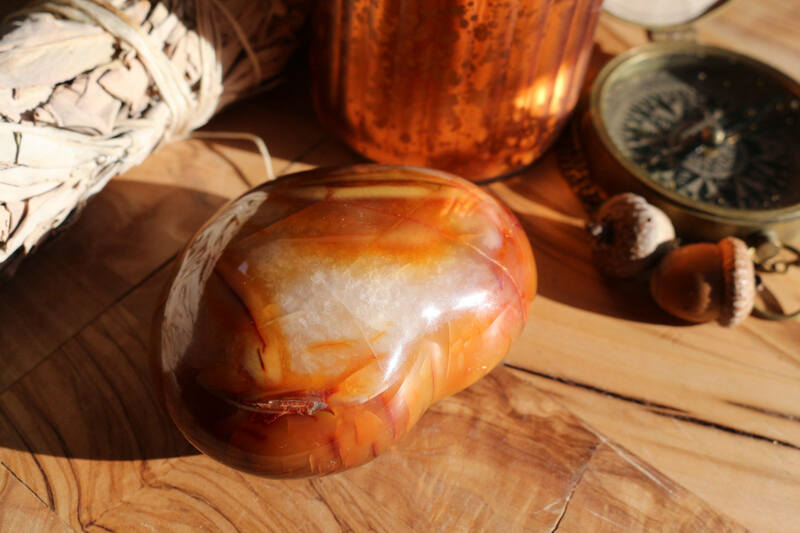 Used as a professional support crystal, Carnelian aids architects, builders and construction workers in their creation of master buildings, stimulates power and stamina in athletes and military personnel, establishes form and organization in journalists, and stimulates motivation in salespersons. 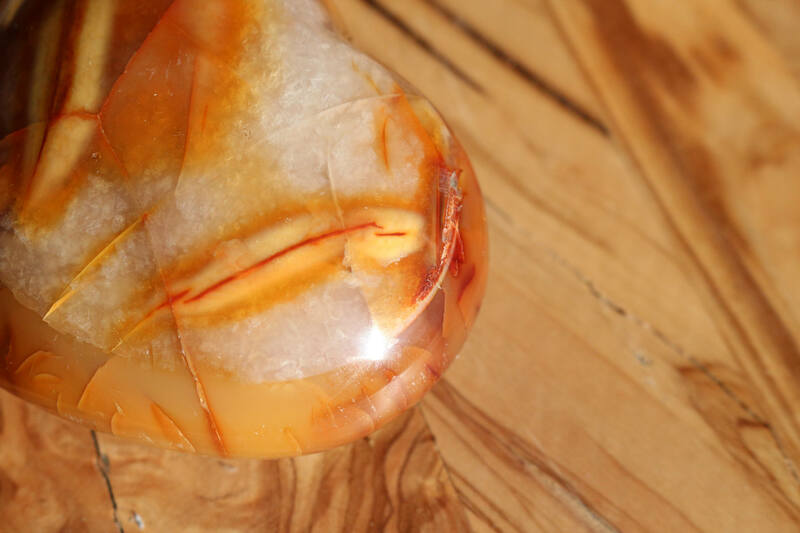 Carnelian clarifies the voice. It is the Singer's Stone. It also promotes confidence for performances on stage or in live media. 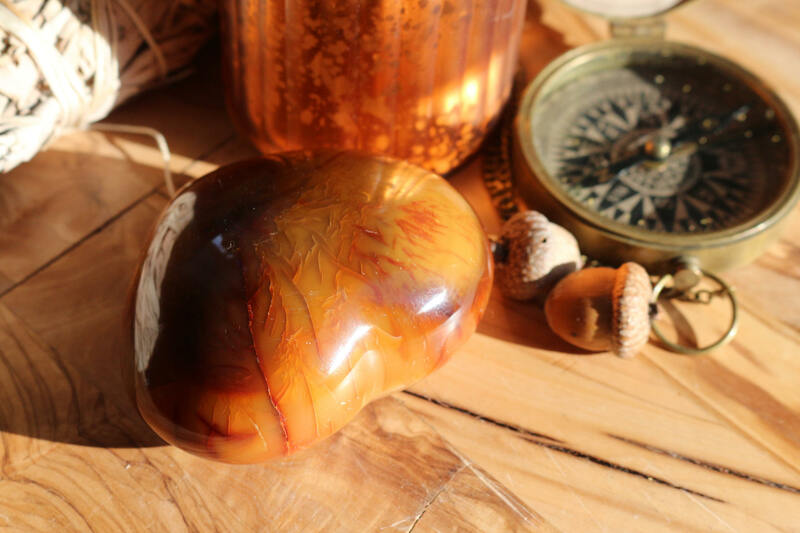 Carnelian is traditionally known to guard against falling masonry and accidents with tools. Today it guards the home against theft, fire, storm or accident. 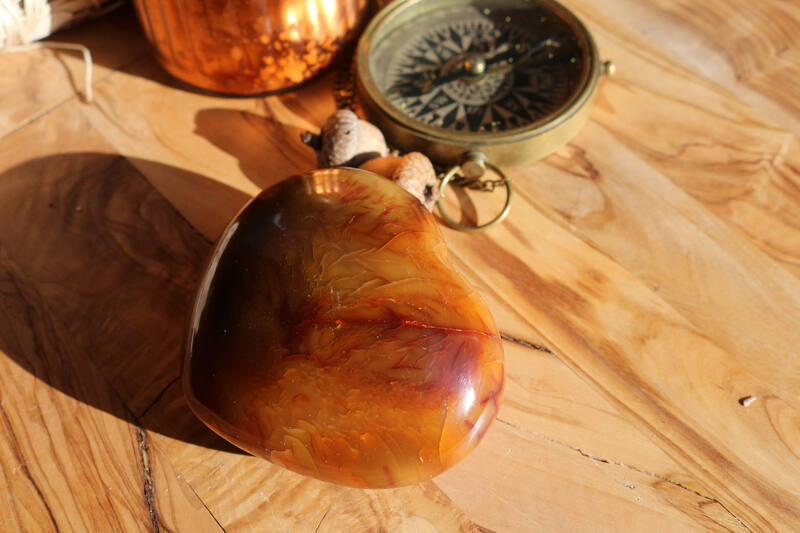 Carnelian is also placed on top of the moulding of all doors as a protector and an as an invitation for good things to enter the room.